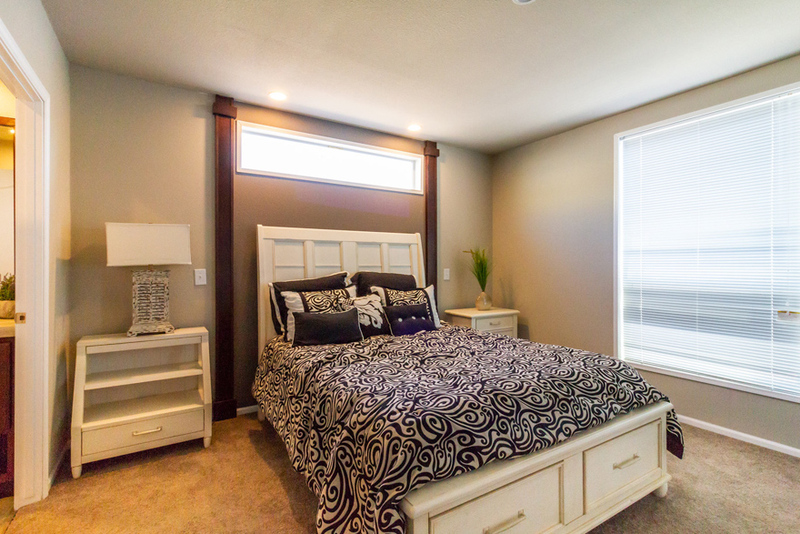 The Rocklin model has 3 Beds and 2 Baths. 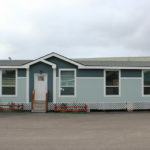 This 1439 square foot Double Wide home is available for delivery in Washington, Oregon, Idaho. They say the family that plays together stays together and this model was designed with that sentiment in mind. 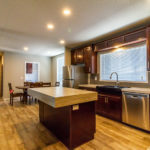 The huge living room works in concert with the wide open kitchen to make this a very family-oriented house, perfect for socializing and entertaining. 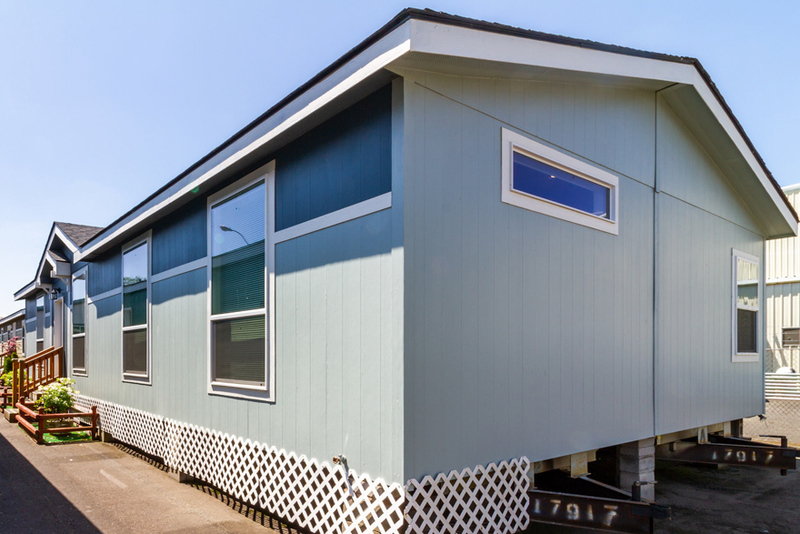 Because it’s part of the Wingate series, this double wide is exalted by superbly upgraded features such as a front entry dormer, guest bath skylight, trey ceiling, book cases, entertainment center and decorative soffits. 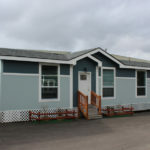 The Rocklin exterior includes a standard dormer with eyebrow over the front door, 12″ eaves on the front and sides with 6″ eaves on the back side. 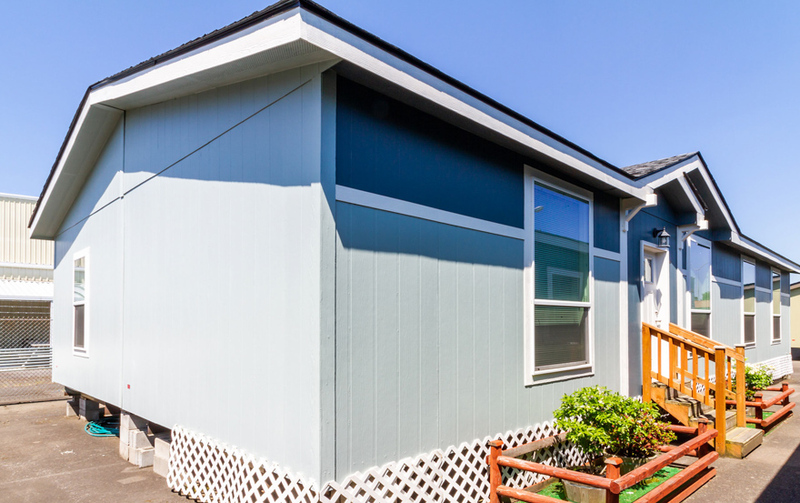 This home includes 3 standard exterior paint colors. 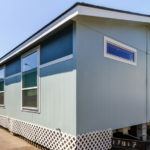 The standard windows along the front are all 46″x80″. 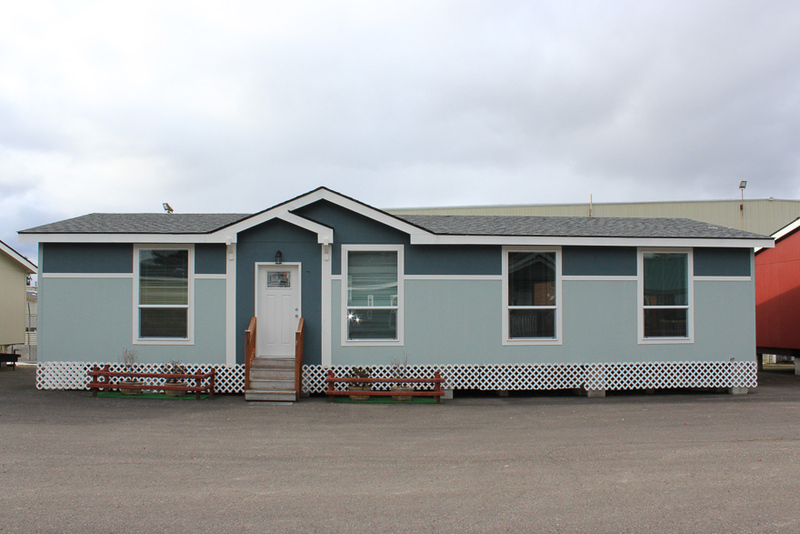 The exterior base paint color is Silvermist, the trim is Westhighland White, and the Accent is Slate Tile. The front door has been upgraded to a craftsman door. The Rocklin kitchen includes tall overhead cabinets, a walk in pantry, a large island, full wall tile backsplash, stainless steel refrigerator, stainless steel range, stainless steel floating rangehood, LED can lights, drawers over doors in the base cabinets, bainbridge style hardware, and a large window with mini blind. 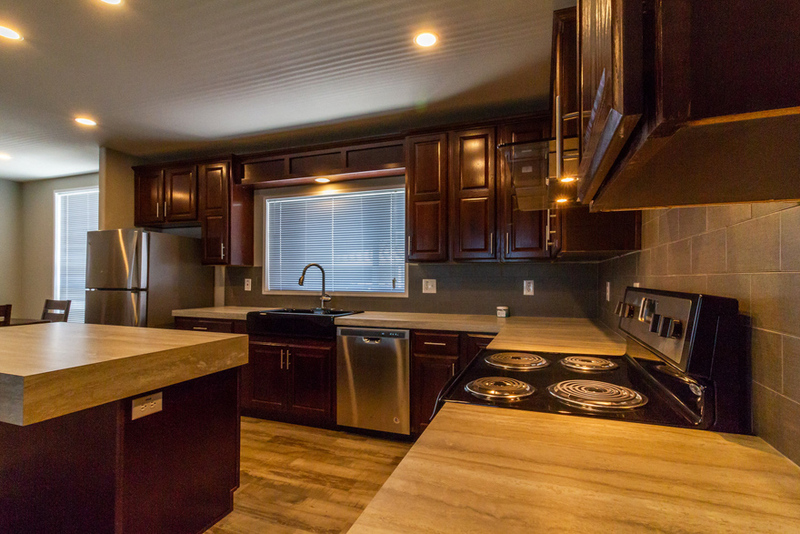 The cabinets have been upgraded to Espresso Oak and the stainless dishwasher is an option. 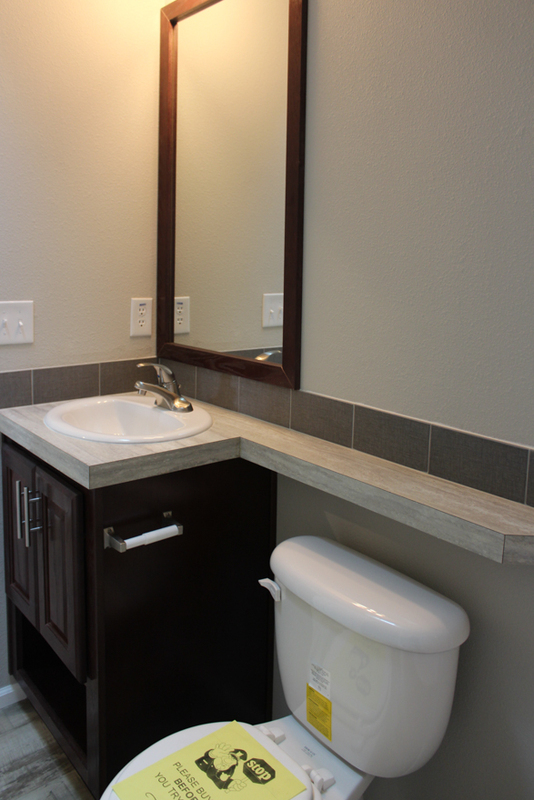 The sink in this photo is no longer available and has been replace with a deep single bowl stainless sink. 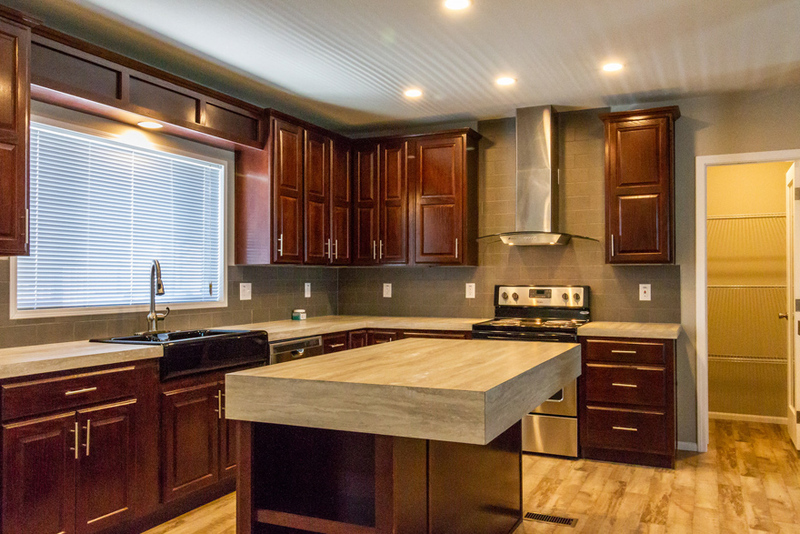 The countertop is upgraded to Travertine Silver, the backsplash color is Ecru Gray, and the linoleum is Sugar Maple. The interior wall paint is Collonade Gray. The pantry door has been upgraded to a glass door. 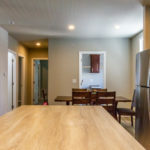 The guest bathroom, utility room, and guest bedrooms are just off the dining room. The interior walls include rounded corners and are painted Collonade Gray. 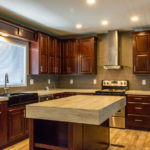 The kitchen countertop is upgraded Travertine Silver. The standard refrigerator in this model is a stainless steel top freezer model. 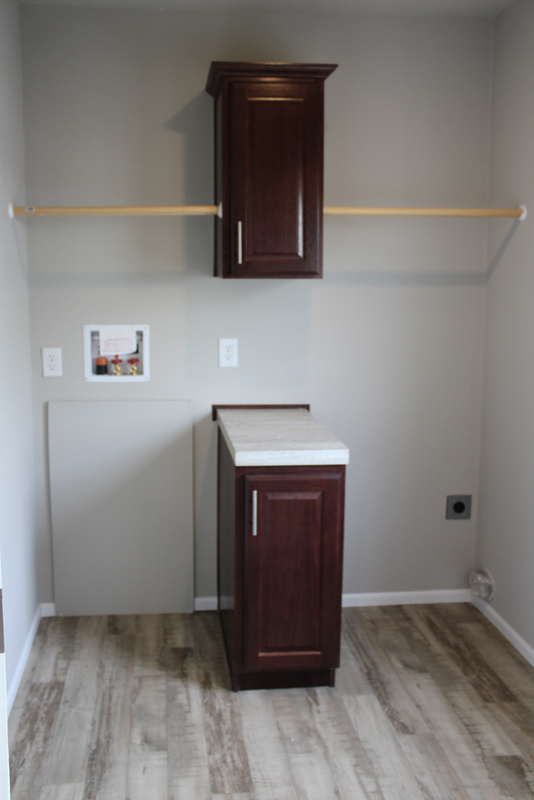 The utility room is showing the optional base and overhead cabinets. 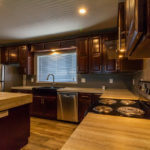 The cabinets are upgraded to Espresso Oak. 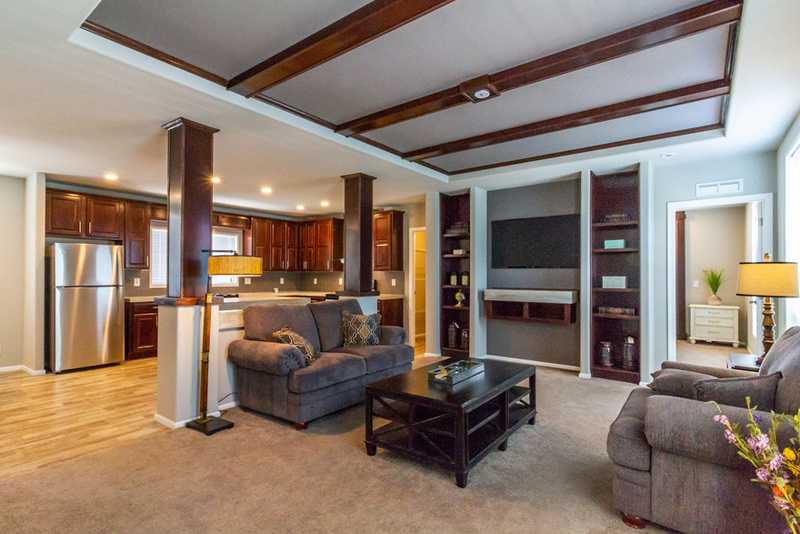 The Rocklin includes 8′-1/2″ high flat ceilings with a standard recessed tray ceiling in the living room with beams and preparation for a ceiling fan. 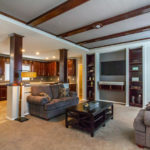 The bookcases and floating entertainment cabinet is also a standard feature, as well as the columns dividing the living room and kitchen. 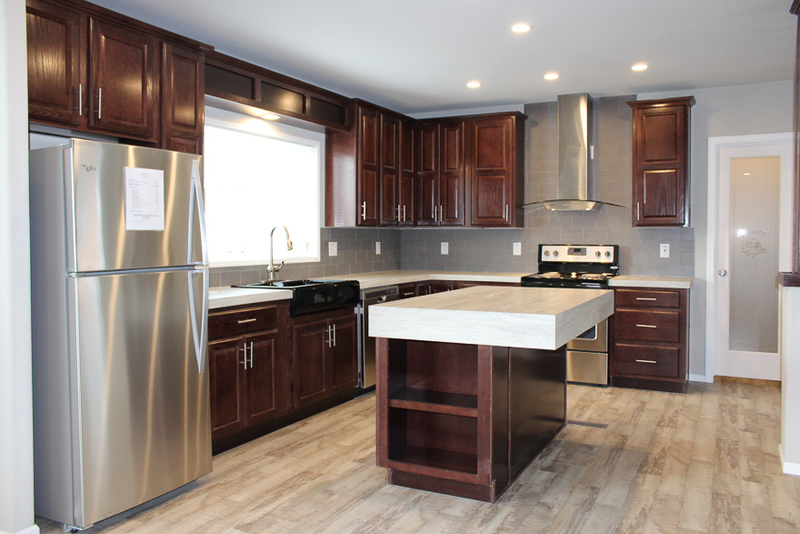 All cabinets have been upgraded to Espresso Oak. The carpet is upgraded to level #2 Macrame – Mushroom Cap and the linoleum is Sugar Maple. 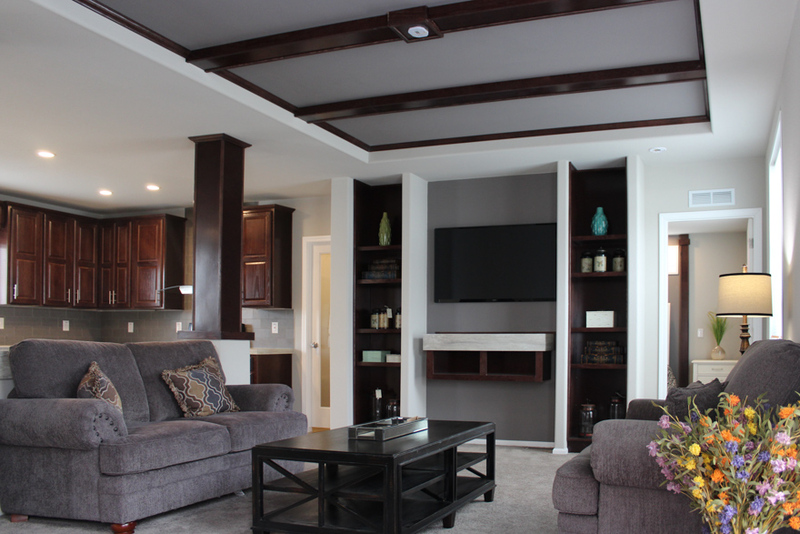 The primary interior wall color is Collonade Gray and there is Mink accent paint in the tray ceiling and in between the bookcases. 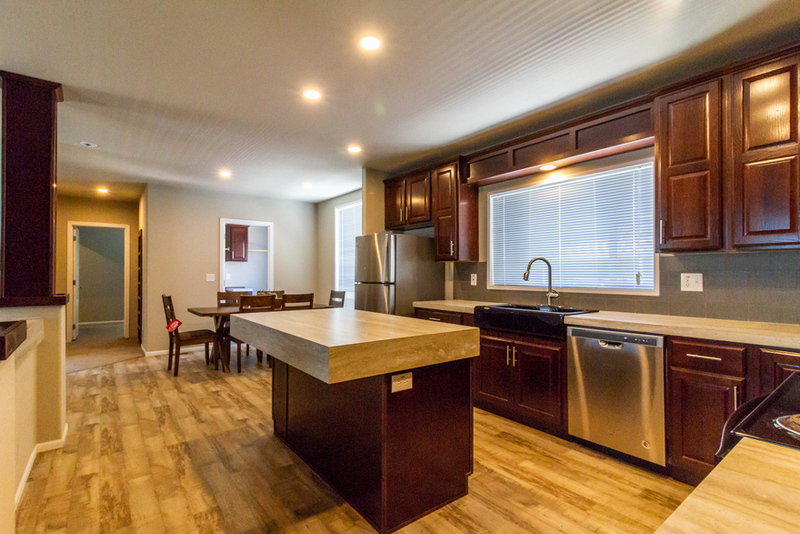 The Rocklin includes 8′-1/2″ high flat ceilings with a standard recessed tray ceiling in the living room with beams and preparation for a ceiling fan. 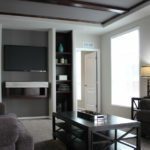 The primary interior wall color is Collonade Gray and there is Mink accent paint in the tray ceiling. The carpet is upgraded to Level #2 Macrame – Mushroom Cap. 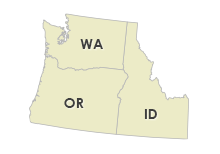 The standard windows are 46″x80″ and include mini blinds. 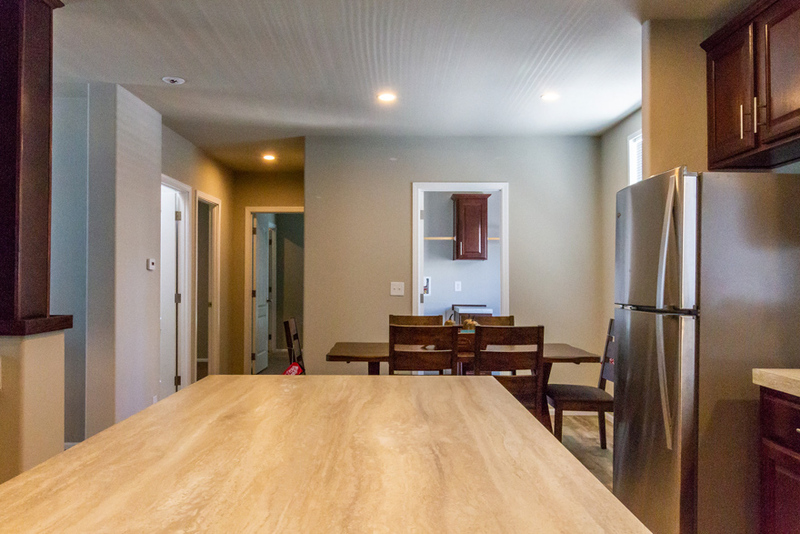 The interior walls have rounded drywall corners. The front door has been upgraded to a craftsman door. Baseboard molding is standard in this model. 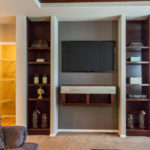 The two bookcases with a floating entertainment cabinet are a standard feature. The cabient itself has been uggraded to Espresso oak. The carpet is upgraded to Macrame – Mushroom Cap. 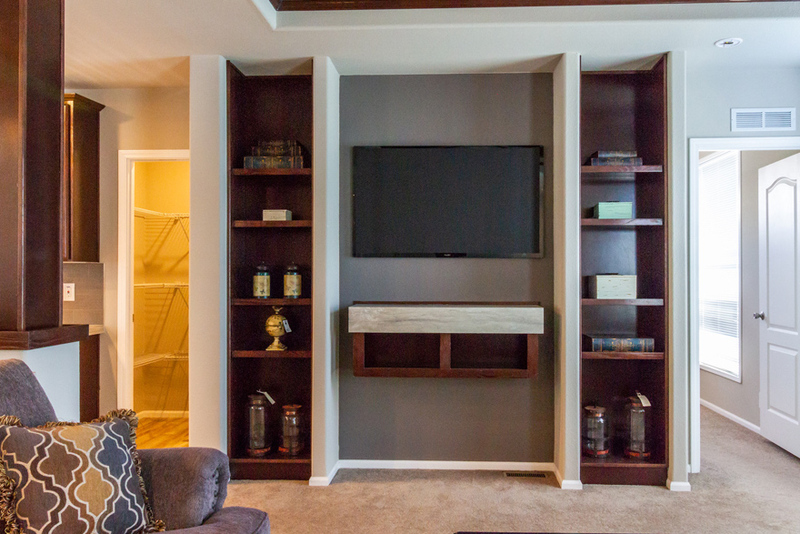 The primary interior color is Collonade Gray with Mink accent between the bookcases. 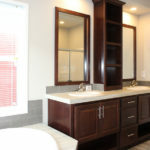 The countertop color on the floating cabinet is upgraded Travertine Silver. Baseboard molding is standard in this model. 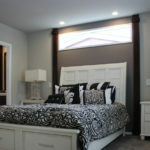 The master bedroom includes a loft window with decorative columns on each side. 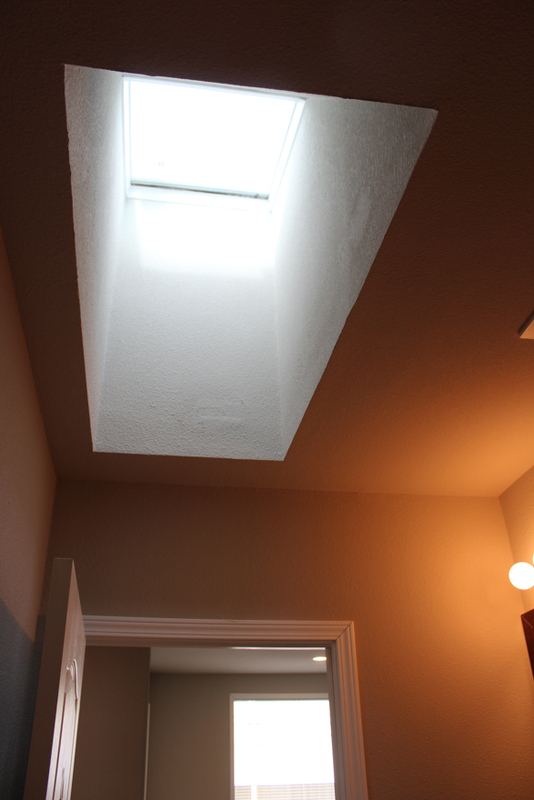 Two LED reading lights are included with another LED ceiling light centered in the room. The carpet has been upgraded to Macarame – Mushroom Cap and the baseboard molding is standard. 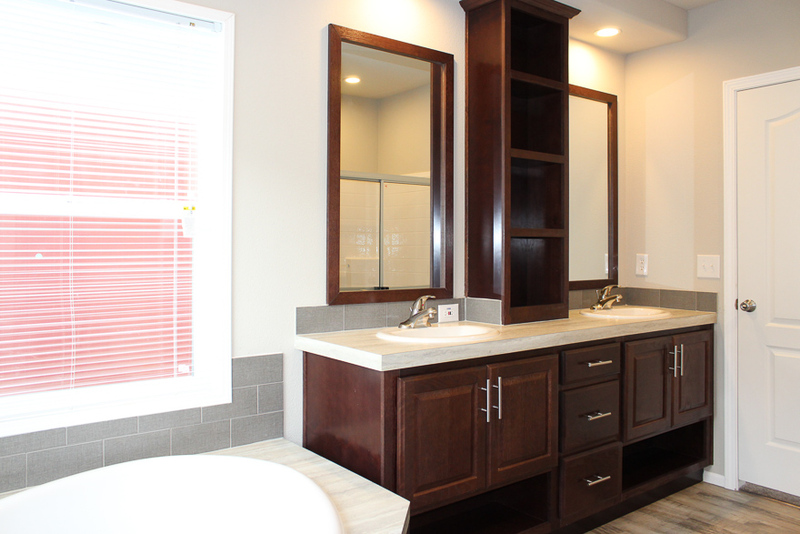 The cabinets in the bathroom have been upgraded to Espresso Oak. The interior walls are painted Collonade Gray with Mink as an accent color between the decorative columns. 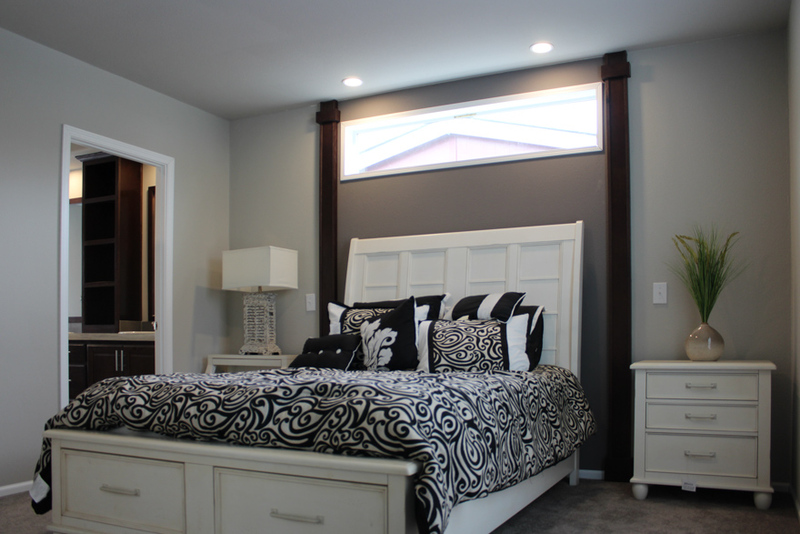 The master bedroom includes a loft window with decorative columns on each side. Two LED reading lights are included with another LED ceiling light centered in the room. The carpet has been upgraded to Macarame – Mushroom Cap and the baseboard molding is standard. The interior walls are painted Collonade Gray with Mink as an accent color between the decorative columns. 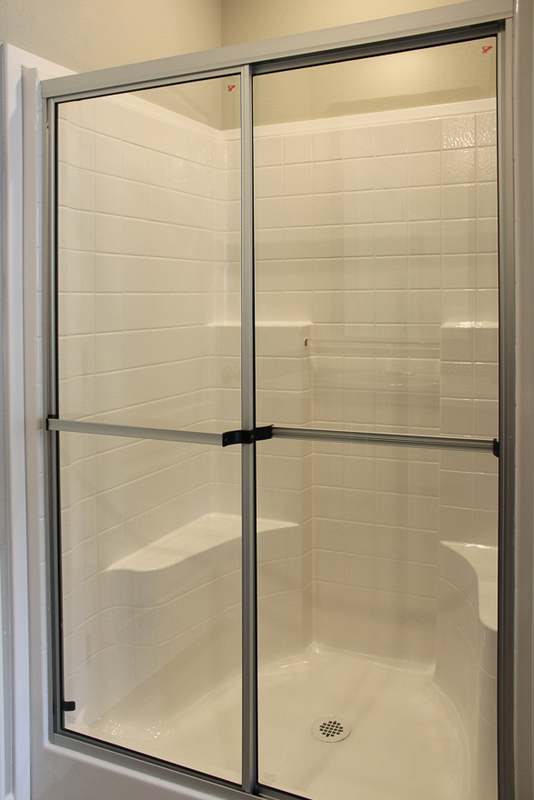 The standard window is 46″x80″ and includes a mini blind. 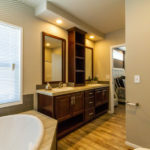 The master bathroom includes two china sinks with single lever brushed nickel faucets and a bank of drawers with a linen cabinet on the counter. 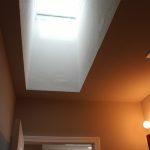 The soffit with can lighting and dual framed mirrors are a standard feature. 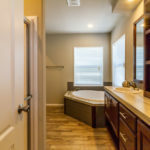 The corner tub is a standard feature. 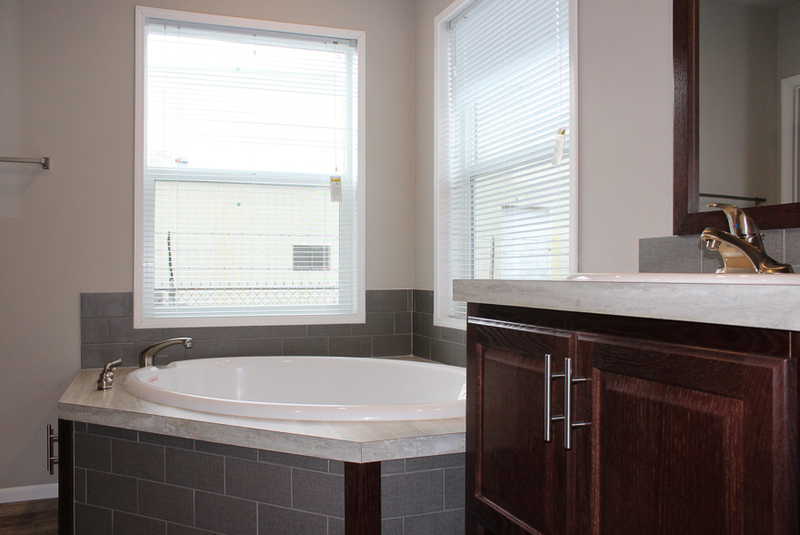 The windows over the corner tub have been upgraded to (2) 46″x53″ in place of the normal 14″x14″ windows. 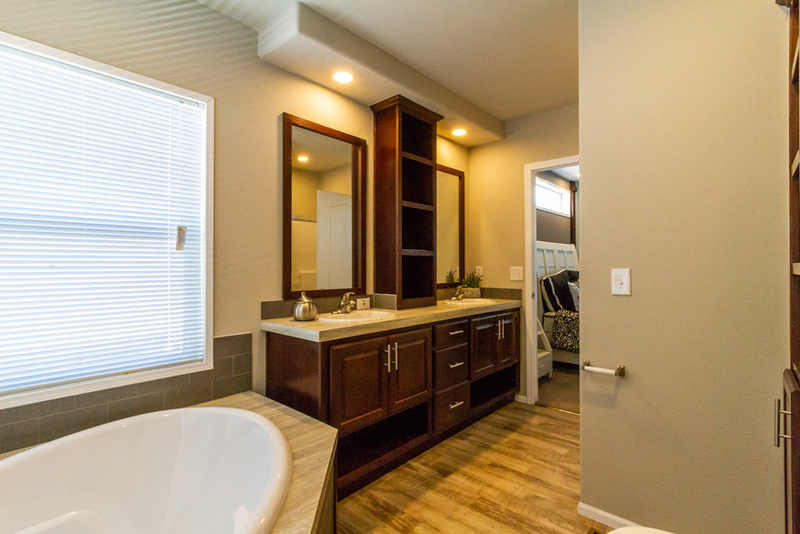 The 3 rows of tile backsplash at the tub, on the tub front, and at the countertop are optional in this home. 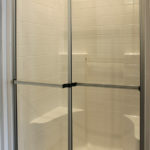 A 48″ Walk in shower is included with this bathroom. 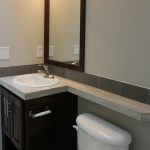 The walls are painted Collonade Gray, the linoeum is Sugar Maple, the countertop is upgraded to Travertine Silver, and the tile color is Ecru Gray. 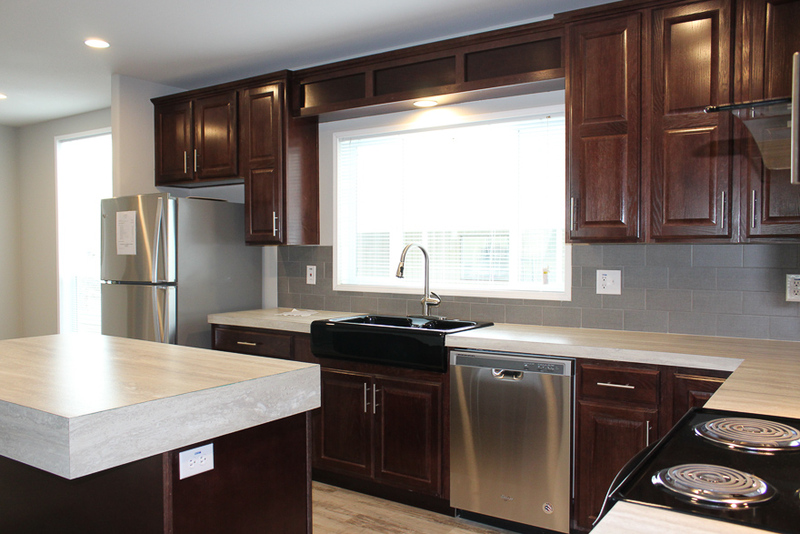 The cabinets have been upgraded to Espresso Oak and the bainbridge style hardware is a standard feature. 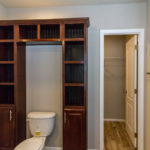 The master bathroom includes storage cabinets and cubbies around the toilet. 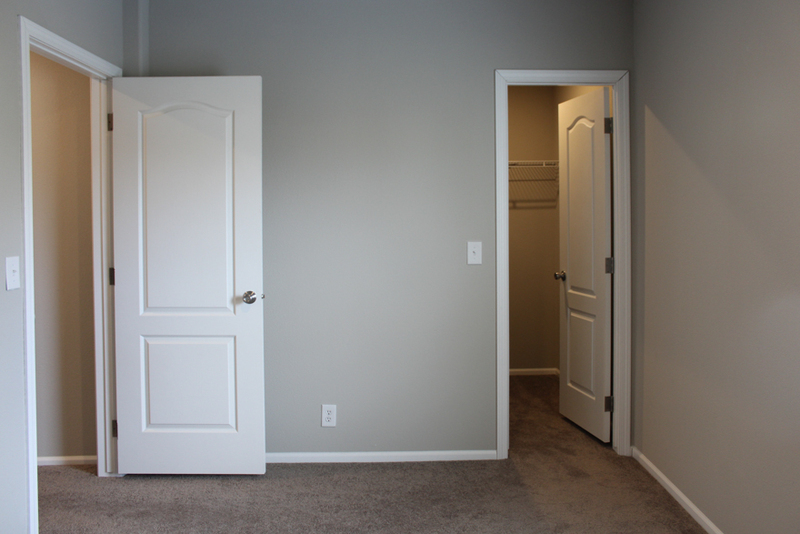 The walk in closet for the master bedroom is entered to from the bathroom. 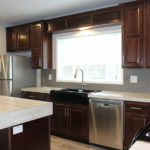 The cabinets are upgraded to Espresso Oak. 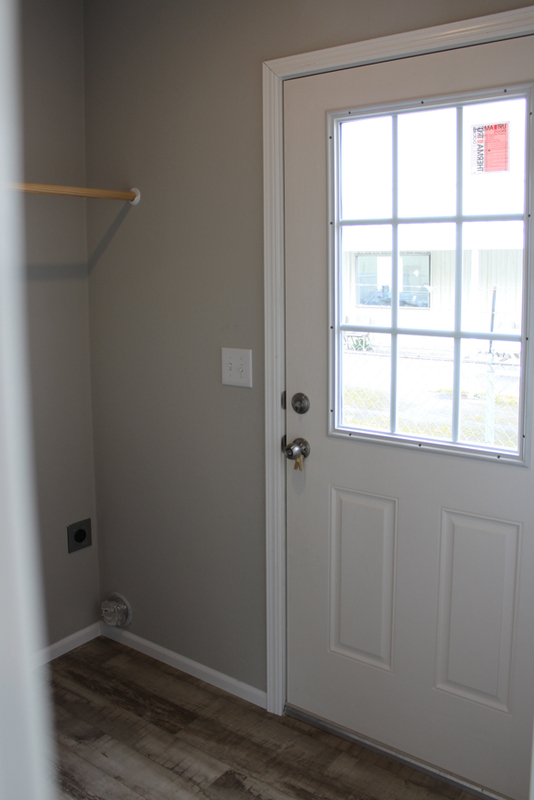 The interior paint is Collonade Gray and the linoleum is Sugar Maple. Towel and tissue holders are included. 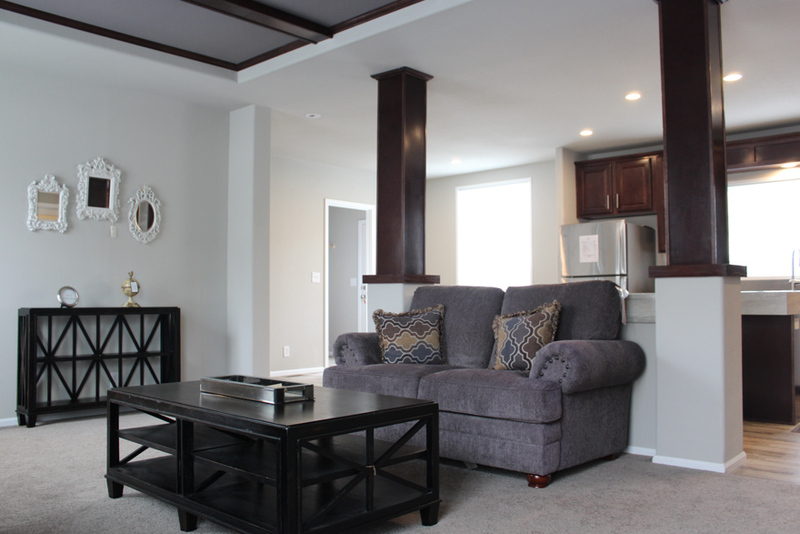 The Rocklin includes 8′-1/2″ high flat ceilings with a standard recessed tray ceiling in the living room with beams and preparation for a ceiling fan. 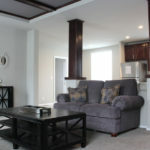 The columns dividing the living room and kitchen is a standard feature. All cabinets have been upgraded to Espresso Oak. The carpet is upgraded to level #2 Macrame – Mushroom Cap and the linoleum is Sugar Maple. 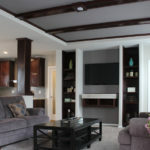 The primary interior wall color is Collonade Gray and there is Mink accent paint in the tray ceiling and in between the bookcases. 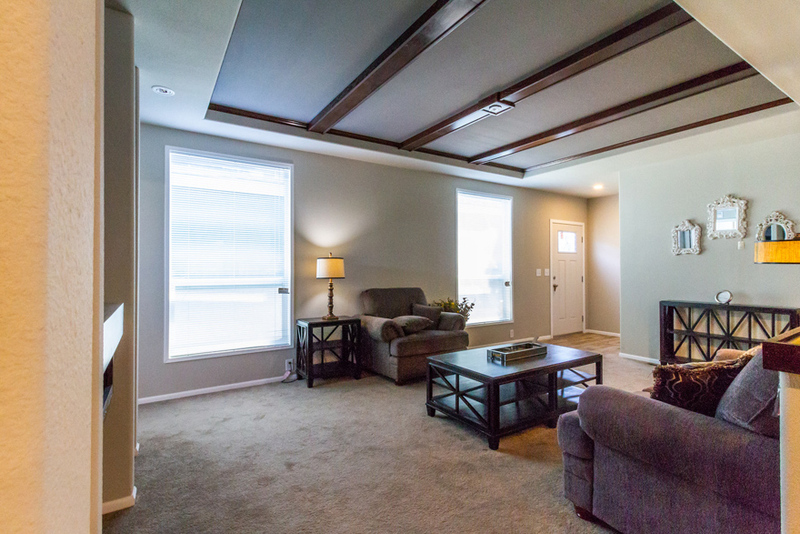 The Rocklin includes 8′-1/2″ high flat ceilings with a standard recessed tray ceiling in the living room with beams and preparation for a ceiling fan. 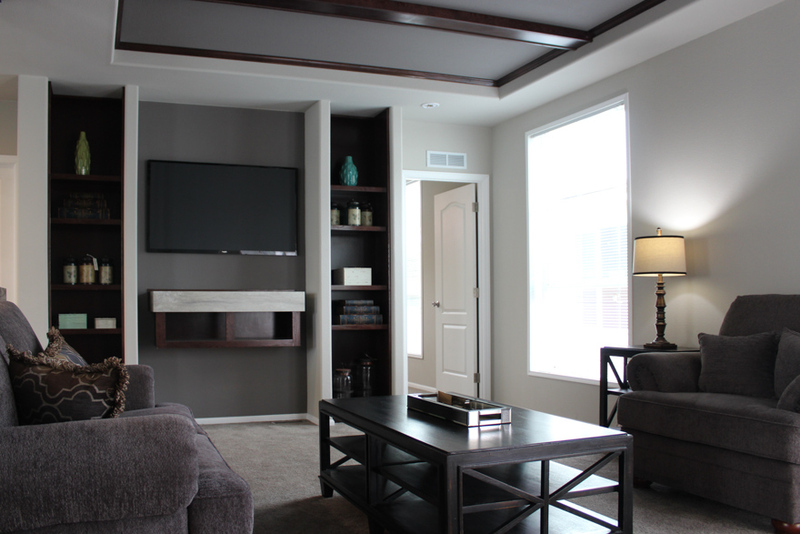 The primary interior wall color is Collonade Gray and there is Mink accent paint in the tray ceiling and between the bookcases. The carpet is upgraded to Level #2 Macrame – Mushroom Cap. 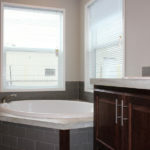 The standard windows are 46″x80″ and include mini blinds. The interior walls have rounded drywall corners. 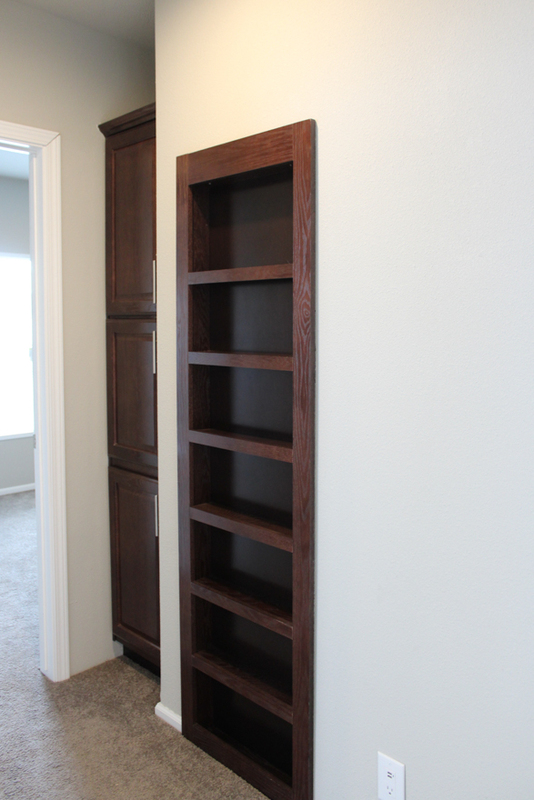 The bookcases and floating cabinet are standard with the cabinets upgraded to Espresso Oak. 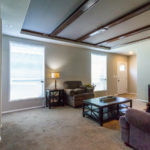 Baseboard molding is standard in this model. 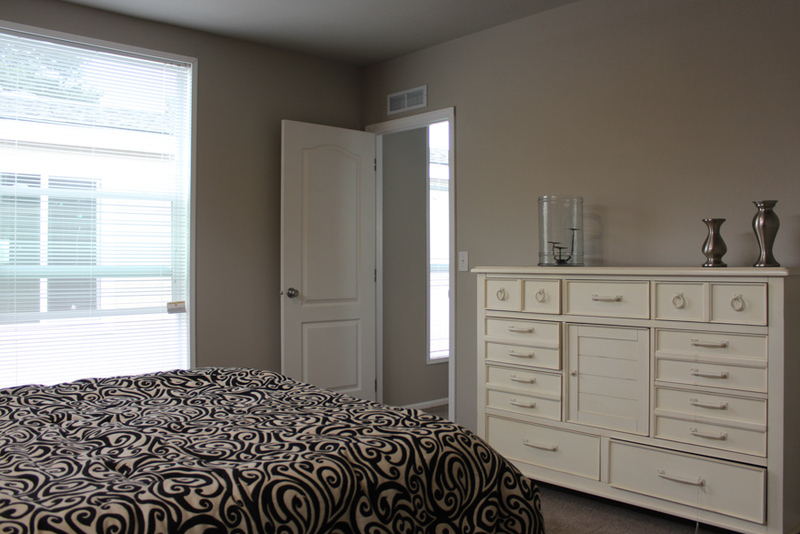 Master bedroom includes 46″x80″ window with mini blind. 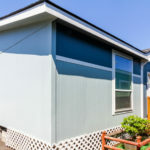 The interior paint color is Collonade Gray. 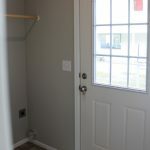 Utility room exterior door has been upgraded to a 9-Lite door. The interior walls are painted Collonade Gray and he linoleum in Sugar Maple. 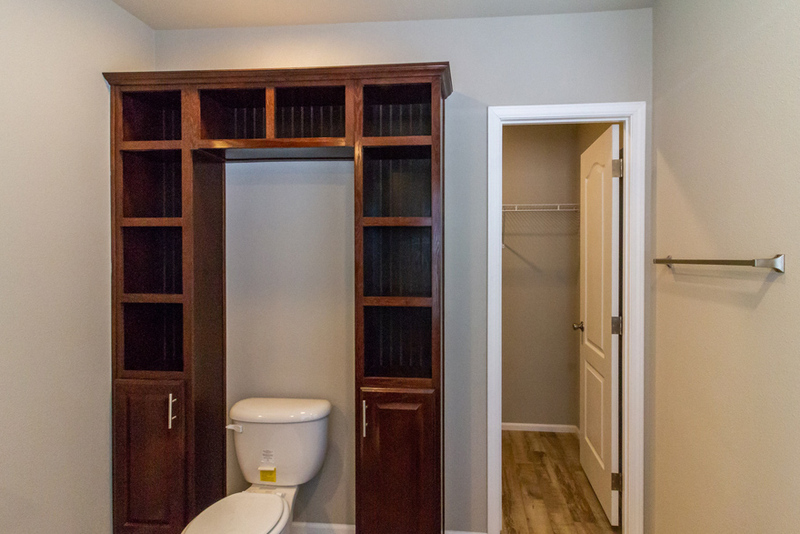 The utility room comes standard with hookups for a washer and dryer. 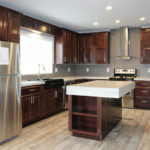 The base cabinet and overhead cabinet is an option and the cabinets in entire home have been upgraded to espresso oak. 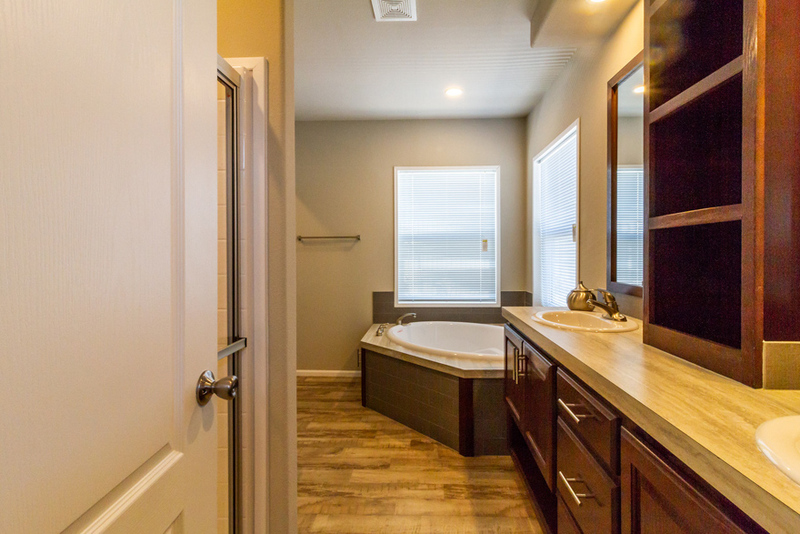 The Guest bathroom includes a standard one piece fiberglass tub/shower, china sink, single lever brushed nickel faucet, framed mirror, bainbridge style cabinet hardware, and a skylight. 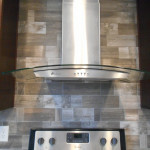 The cabinet has been upgraded to espresso oak and the countertop upgraded to Travertine silver. 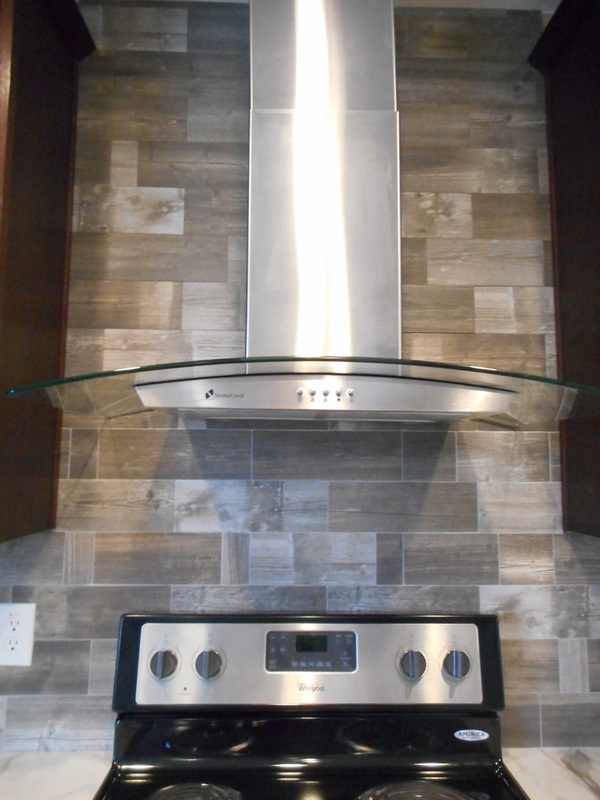 The tile backsplash is an upgrade and is the color Ecru Gray. The interior paint is Collonade Gray and the linoleum in Sugar Maple. 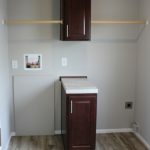 The hallaway includes a stylish shallow cabinet with shelves. This is the access to the water heater. 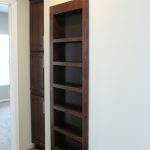 The 3-Door linen cabinet is a standard feature in the hallway as well. The cabinets have been upgraded to Espresso Oak. The carpet is upgraded to Level #2 Macrame – Mushroom Cap carpet. The interior walls are painted Collonade Gray. 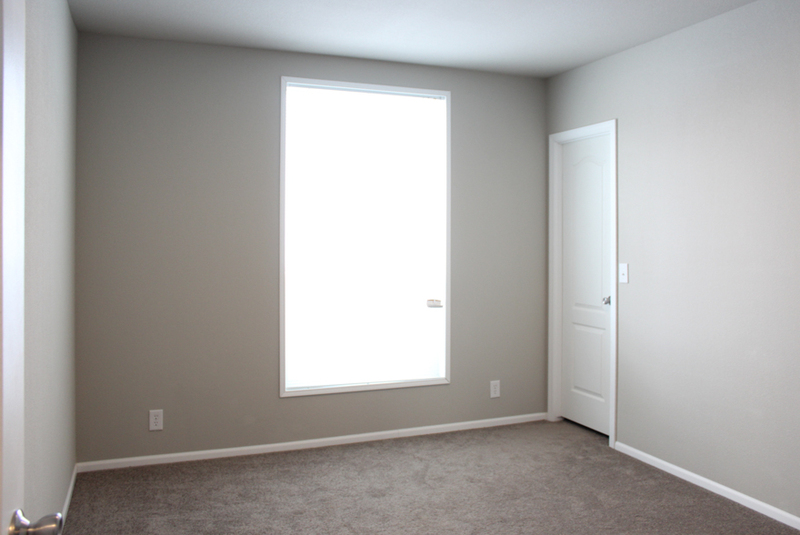 This guest bedroom includes a standard 46″x80″ window with mini blind. The carpet has been upgraded to Level #2 Macrame – Mushroom Cap carpet. 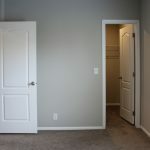 The baseboard molding is standard and the bedroom includes a walk in closet with ceiling light. 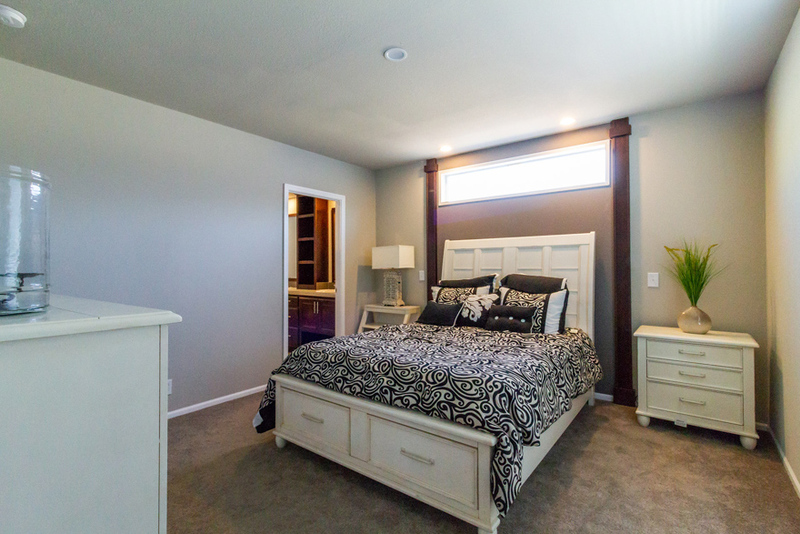 The bedrooms include an LED ceiling light centered in the room. 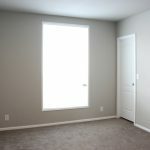 This guest bedroom includes a standard 46″x59″ window with mini blind. The carpet has been upgraded to Level #2 Macrame – Mushroom Cap carpet. 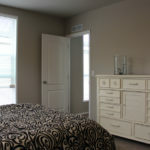 The baseboard molding is standard and the bedroom includes a walk in closet with ceiling light. The bedrooms include an LED ceiling light centered in the room. 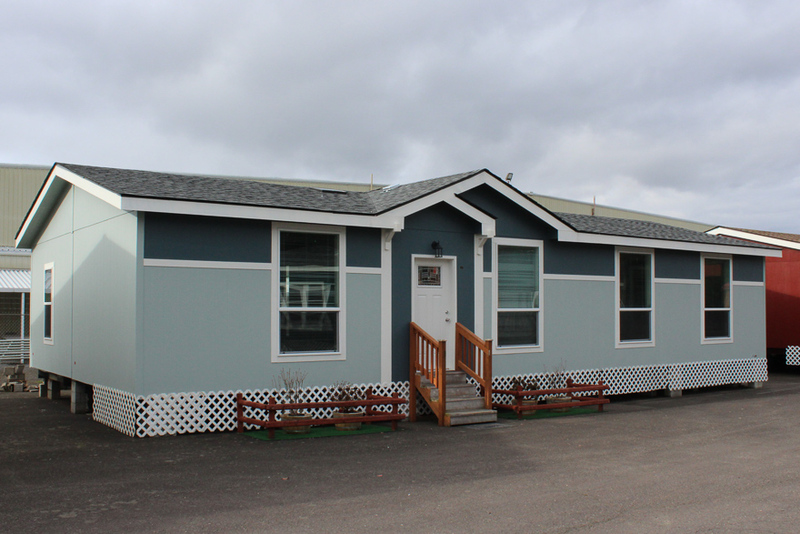 Ask your housing consultant about the other great features that come standard on the Rocklin manufactured home.